NYSinC at Brooklyn Book Festival! 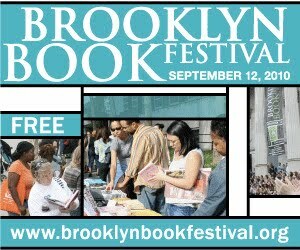 This Sunday, our chapter will be participating in the Brooklyn Book Festival at booth #167— really a covered table– near the intersections of Adams and Joralemon Streets in the vendor areas by the cafe. Do stop by! We’ll have members making charming small talk and book bargains all day! This entry was posted on September 10, 2010 by nysinc. It was filed under Events .